Opiate withdrawal refers to the uncomfortable symptoms associated with stopping the use of the drug. Withdrawal symptoms occur when a person has used opiates for an extended amount of time and then tries to stop or cut back on the medication. Opiates work by sending feel good chemicals to the brain which lifts the mood of the user. When the medication is absent from the system, the brain reacts to the lack of these drugs and causes the person to feel very sick. Opiate withdrawal symptoms include extreme cramping of the muscles and phantom pains in the legs, neck and back and other areas of the body. It causes nausea and profuse sweating and can even cause psychological distress. People going through opiate withdrawal often say it feels like torture or that they feel like they are dying. The symptoms can be so severe that most resolved person might break down and use opiates again to stop the excruciating pain. Withdrawal symptoms can occur whether the drugs are prescribed by a doctor or taken illicitly. Some suffer from withdrawal symptoms after receiving the medication while undergoing treatment in a hospital and have no idea the symptoms are being caused because of the lack of the drug in their system and might mistake the symptoms for having the flu. 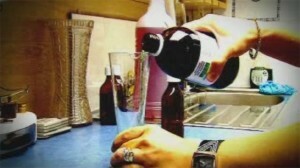 Methadone treatment helps reduce cravings and withdrawal symptoms. When someone begins the recovery process the body needs rest and good nutrition to heal while it detoxifies from the drugs. In addiction, a physician might decide that a Methadone Maintenance Treatment might greatly decrease or completely relieve the symptoms of opiate withdrawal. While this requires a big commitment on the part of the recovering user, it can be very beneficial because by diminishing the painful withdrawal symptoms, the person can focus on other important parts of their treatment and better participate in making decisions to aid in their own recovery. Methadone treatment also reduces the intense cravings to use the drugs such as Oxycontin, Percocet, Morphine and heroin again which prevents relapse. Relapse is the biggest risk during treatment of any kind of addiction. The risk of overdose is greatly increased when a relapse occurs as the person may use the same amount of opiates they were accustomed to using in the past even though their tolerance has been reduced. There are other medications that can be given to help with the psychological withdrawal symptoms and anxiety that can occur during opiate recovery and often medical withdrawal treatment is combined with counseling and behavioral services that aid in easing symptoms as well. After detoxification of the opiates are complete a long term treatment program is recommended. Studies show that residential treatment for 6 to 12 months are most effective but there is no set amount of time a person must stay in treatment as the decision to seek treatment is usually voluntary. Continued aftercare with community groups like Narcanon are shown to greatly increase the chances of long term recovery success.